The hunt for the perfect easter egg never ends. Atleast for me. I have hated eating eggs for most of my life - poached, boiled, benedict, florentine & all the others. Recently however, I've begun enjoying the special eggs my mother brings from the farms in Gorai (which I've been told can hatch into little chicks if kept for long enough). Maybe that's why they taste so good. Before this I was never a fan of eggs unless it was used as an ingredient in making some sort of dessert. I've probably cracked one egg in my life to make a fried egg - the only way I can eat it. Or as an omelette. But, that's because it's generally camouflaged with what I like to call a bunker of cheese. It's the same with cold coffee. I only like it when you can taste more chocolate than coffee. 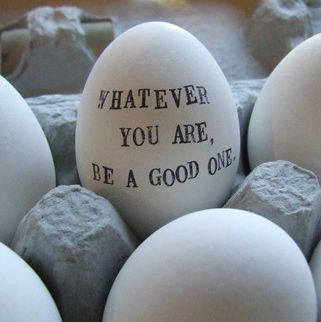 Anyway, the one day I have always looked forward to the entire year to eat an egg is today - Easter. When I was a little girl, my friend Sabrina & I would paint & decorate egg shells and leave them to rest in a cane basket on a bed of cotton and confetti. It was very creative and pretty looking but completely pointless. So, now I just focus on buying and eating good easter eggs. The hunt, like every year began 3 days ago. I went to many different stores around Bandra and this is what I got. More maida than marzipan according to my mom. Then my friend Ken came and gave me a chocolate egg and life seemed not so bad again. 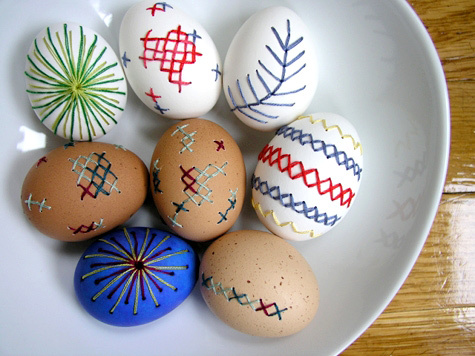 Whether you got Chocolate, Marzipan or just plain flour, I wish you all a very Happy Easter. And as for tomorrow, let's hope it's Sunny Side Up.